While there's always an obsession for the latest in fashion, there will always be a soft spot for the vintage. Whether its a pair of high boots only made in the '70s, or a specific coat created as a one-time design, or that purse with the one thing that sparkles and they don't make anymore, the delight in finding a unique item to compliment or be centerpiece to any ensemble will always drive people toward vintage. And lucky for us we have a steady supply of vintage stores around the valley, like the one we're checking out today. --- Tucked away along 2nd East off Broadway, sitting almost inside a literal hole-in-the-wall location is Misc. (pronounced mis-sy), a vintage clothing boutique with a small array of select clothing and items, just slightly off kilter from the standard shops and still fashionable to fit with an array of modern designs. I got a chance to chat with founder Missy Baber about the shop as well as her thoughts on local fashion. Along with a few photos of their current selection for you to check out here. Gavin: Hey Missy! First off, tell us a little bit about yourself. Missy: Hmm... I am enthusiastic, optimistic and easily amused. I have a mind for tedious tasks, I hand write all of the tags for my merchandise, and am fastidious about details. Who knew my good eyesight would translate into a knack for noticing stains that others wouldn't? I think it is the little things that count. I believe everyone/everything has a story and I am always interested in what that is. I like to understand things in general and I like specifics - I try on everything that goes in my shop so that I am aware of its fit and possibilities. I like talking and telling stories but I am also a very good listener. I have a weakness for cream sweaters. I am prone to run-on sentences. And I love lower case letters. Gavin: How did you first take an interest in fashion, and more specifically vintage material? Missy: I worked in a vintage clothing store, La France, in Tampa, Florida when I was 20. It changed my whole style of dressing, what I found interesting, and what I was willing to spend my money on. She had pickers who worked at the rag company and they would bring her bags of clothing - they paid $2/lb and sold it to her for $2 an item. I was amazed at what was discarded as "rags" or even discarded at all. One of my favorite dresses is one of them, she sold it to me for a discounted $20 and seventeen years later that dress still rocks. The job only lasted about a year but I learned a whole new way of life. After that, I thrifted like crazy and haven't really stopped since. I prefer items that have a history and a quality behind them that most current production does not. And I like supporting small businesses and charities/non-profits whose missions I admire, that is where i spend most of my money both personally and for the shop. Gavin: When did you first meet Ron Green and end up becoming friends? Missy: About eleven years ago I owned a consignment store in Sugarhouse called The Bag Lady Boutique, and Ron walked in one day excited to meet me because he was moving his shop to the neighborhood. I, however, had already made the decision to move downtown. He was one of the first people in the business to be genuinely kind to me - him, Carmen Miranda, and the lovely ladies of Elemente. He always sent '50s formica tables my way because he wouldn't sell them but I could and in that process he gave me my first experience of buying and selling because consignment was all I really knew. Gavin: How did the idea come about to start up a clothing and fashion boutique? Missy: Both times around it has really been timing and luck, whether good or bad, sort of a why not, what have I got to lose? This time around, I got laid off from a job that I liked but really isn't me in the scheme of things. Ron showed me the space when he first looked at it and that was pretty much that. Well, after I went round and round about taking a job offer because I still find/found them seductive with their salaries and paid vacations and health insurance that I usually couldn't afford. But in reality if there is one thing I have learned in this life thus far, security is an illusion, life is what you make it and you better make it something you enjoy. This time around it is my vision and people are responding to that. I am loving it more than I thought possible. I go out and find everything in my store, that is where I find my motivation and my inspiration. To my knowledge, I am the only used store who doesn't do consignment or have a buy/sell policy and that is what suits me. Gavin: Considering all the places around the valley, what made you decide to open in the back of Green Ant rather than start up your own self-contained shop? Missy: At this point, downtown is the only neighborhood I would want to do business in. It is very satisfying to me, like coming full circle, because when my business was downtown ten years ago, this energy was not here. There aren't many people I would share space with but a stand alone shop can be really lonely and limiting if you are the only one who runs it. We can cover for each other and not have to close up shop and that is freedom in a particular way that I didn't have before. Having my own entrance sealed the deal for me. Also, he is an established business and I knew that I would steal some of his customers in the beginning until I built my own clientele. It works ridiculously well for both of us. And I still steal his customers. Gavin: What was it like for you getting set up and essentially planning out the look of the space? Missy: I am someone who knows more what I don't like sometimes than what I do. I have to see it first which doesn't really work in a planning stage... but I got really lucky that Patrick Davis Design did our remodel. He does amazing work. I had worked with metal pipe racks in the past because I could afford them and liked the look. Patch expanded on that idea and made adjustable racks of wood and pipe. He built my dressing rooms and desk out of salvaged wood and the desk we topped with a panel from 3form as a final touch. I knew I wanted a clean sparse space, for the clothing and other items to speak for themselves. Ron bought me the light above my desk for my apartment but when we started working on this space it came to the shop and pretty much set the decor as far as the black and white. Gavin: How was the first month open for you, and what was public reaction like to it? Missy: We opened on February Gallery Stroll in 2009. I was literally still organizing my racks at 5PM and nothing was really how I wanted it but there was a point where my entire store was packed with enthusiastic girls and I way surpassed my sales goal. It was a slow build from there but several girls from that first night are regular customers. Gavin: What's the process like in deciding who to bring in as part of the store, both local and vintage? Missy: My process is very personal and is really more what than who. It starts very basic in whatever catches my eye and that I have a response to and then I look a little closer, weed out flaws and damage beyond normal wear and tear. I do read a lot of fashion magazines, I love clothing and yet I don't necessarily care about trends or labels, although I can recognize the quality behind certain labels and am alway excited to find them. I prefer what originally inspired what is going on today and I prefer flaws that come with time and love, not manufacturing or design. What I like changes all the time based on exposure and appreciation as opposed to what is "right now" yet has remained very consistent as far as certain things I am always looking for: quality, detail, wearability, affordability. The only "who" I showcase is Fern, and she is six. She makes barrettes ($2) and just branched out to small wallets ($6). It has been awesome to watch her designs evolve and I own a small collection of her work. She is saving for Disneyland next summer (and Hawaii and college) and all proceeds go to her. You can check out a great interview of her on my facebook page or at The Slash Project. Gavin: Over the past year you received a lot of recognition for the interesting selection and overall being a successful small boutique. How do you respond to that kind of praise? Missy: I certainly like it and am very grateful for it. One thing that keeps me going over time when my bank account is alarmingly low is the support I feel from my customers. They are very vocal in their appreciation of the service that I provide and it is super fun when people respond to things and get really excited the way that I do... I don't think clothing is frivolous, I think it is an important way in which we express ourselves and provides a certain comfort beyond the obvious in our day to day lives. I am very aware that people have many choices of where to shop and I am honored that people choose to support my business, which in turns supports me as this is my only source of income. Gavin: Are there any plans on your part to expand in some way or any changes you plan on bringing about, or will you mainly be sticking to what you're doing for now? Missy: I definitely do not wish to ever be any larger than I am. It is a very manageable space - easy to maneuver and also to see what is new, which is helpful because I put out at least a few new items almost every day. I personally don't like to be overwhelmed when I am shopping - you can literally pop in on your lunch break, find what you want and get out the door or you can easily take your time and spend an hour. I did finally create my business facebook page and plan to open an Etsy store in the next month. My goal is to expand beyond my local market so that I can expand on my buying trips. I have gotten to take quite a few in my first two years but sometimes at the expense of other, perhaps more practical, things... but travel inspires me and keeps me grounded. Gavin: Moving onto local stuff, what are your thoughts on our fashion scene, both good and bad? Missy: To be honest, like I said earlier, I am not overly concerned with fashion or the scene but if you pay attention I think Salt Lake definitely has more going on than people think. Again, I think it comes down to the choices we make - if we want to see more of something then we need to support it so it has the opportunity to grow. But for whatever reason, we do tend to be a city that is resistant to dressing up or outside the norm even. People ask me all the time... "but where would I wear this?" and I say wear it wherever you want. Whoever said you can't wear super cute vintage dresses to the Farmer's Market or outdoor concerts or even just when kicking around running errands? Sometimes we take chances and in doing so we give others permission to do the same. Missy: Um, unfortunately promotion and marketing and all of those strategic things that are very useful and probably very good to know about do not come naturally to me. I am more of an organic growth kind of girl and am just lucky that my own business is growing due to positive word of mouth. Fortunately, I am a very patient person. 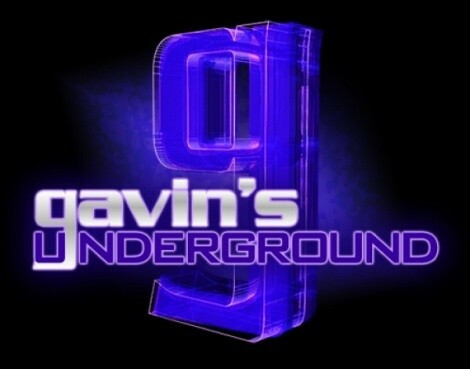 Gavin: Do you have any favorite shops you like to work with or shop from? Missy: I rarely buy anything new, it is just my own personal philosophy. The main exception for me is music, which I believe it is important to pay for as opposed to download. I still prefer a hard copy with art work and lyrics and I love vinyl... thank you, Slowtrain. But there are a few stores who I love what they have going on: Q Boutique, Fice, Facade, Hip & Humble, Apt. 202. Gavin: Who are some of your favorite local designers right now? Missy: Shift is top of my list, you can find their work at both Highlife Salon and Frosty Darling. I think there is very interesting work coming out of the fashion program at SLCC. My personal favorites from last spring were: Amparo Nakagawa, whose inspiration for the collection I saw was Post War New York and Chantel Storstad whose collection I loved was inspired by Norwegian Folkwear. I love that Nappi Clothing is local even if it isn't my particular style, and I especially loved the swimsuits last spring from Krista Nielson. And there are quite a few jewelry designers that I love, specifically Noble Town Vintage - you can find her on facebook or etsy. Gavin: What's your take on Fashion Stroll and the part it plays in our scene? Missy: All I can say is hats off to Matt Monson & Anna West and the rest of their team - I think it is brilliant what they do and how they do it and I think it is integral to the growth and exposure of what is going on in our city. Gavin: What can we expect from both yourself and misc. (pronounced: mis-sy) over the rest of the year? Missy: One thing I am definitely committed to is the experience you have when you shop. I think it should be fun and effortless but also honest and supportive. It may sound funny to use the word "supportive" but some people are not good shoppers and realistically we don't always shop from the best of places - we shop when we are stressed and vulnerable or don't have any money to actually spend but are looking for a distraction and we all have something we don't like about our bodies on any given day. It is nice to know people well enough or to care enough to know where they are coming from and even if they do have the money to spend will they actually wear it or do they just like the idea of it? My shop policy is: Know Yourself. Know Your Budget. All Sales Final. ...Except I do exchanges on gifts. I give customers 20% off for their birthday because I think we should all buy something we want for ourselves for our birthday. Someday I am going to write a book about why and how people shop, but this year I am going to write a book about Arapahoe, my kitty cat of sixteen and a half years who died this past October and who many of my customers are familiar with. She was an amazing creature and she taught me so much in both her living and her passing. I feel kind of silly putting that in print, that I am going to write a book about my cat, but I am a firm believer that in stating our goals/dreams they become reality. Plus she was ridiculously beautiful and photogenic, so if nothing else I have that in my favor. Missy: The main thing I would like to promote is people really choosing where they spend their money, I think it is very empowering and one of the few things we really do have control over. I think how we spend our money is as important, if not more important, than what we spend our money on. Local First did a great campaign again this year about the fact that if you spend $100 at a locally owned business, $45 stays in our local economy as opposed to only $14 if spent at a chain store, you can read more about it on their website. I am especially partial to downtown right now, there really are so many great & interesting shops - Gallery Stroll is the third Friday of every month and it is a really good way to explore the neighborhood as most shops (including myself and The Green Ant) stay open late and there is a fun energy to the evening. Most of my discretionary income goes to eating out so I could go on and on about restaurants I love but I will just tell you who they are: Eva, Gourmandise, Takashi, The Copper Onion, Vinto, Silicia, Stoneground, Em's & Pago.